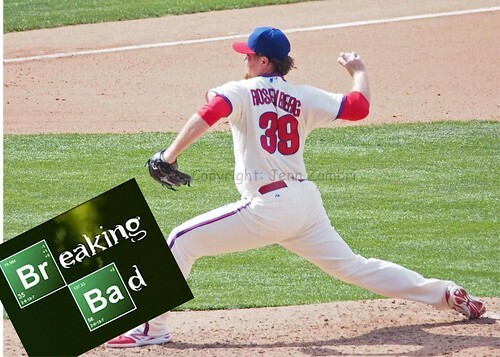 A couple of Phillies were getting hot, hot, hot in Miami tonight. 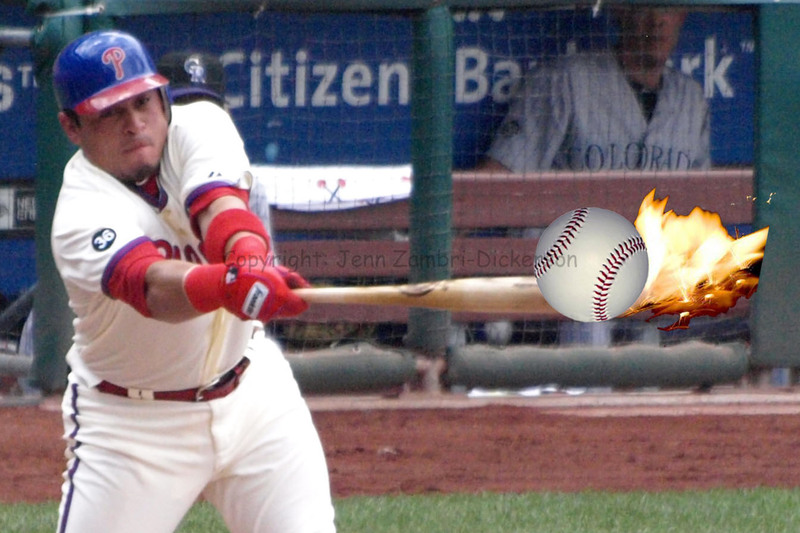 At the plate, Carlos Ruiz ended the game only a triple shy of hitting for the cycle. Not only was his bat hot, but he got big hits with 2 outs and in key situations, collecting 2 RBI’s and scoring 2 runs. Ruiz had 4 hits on the night against the Marlins! Ben Francisco was nipping at Ruiz’s heels all night too. Both players hit solo homers in the 2nd inning, back-to-back. Francisco ended with 3 hits, an RBI and 2 runs scored. Wilson Valdez contributed 2 hits as well. 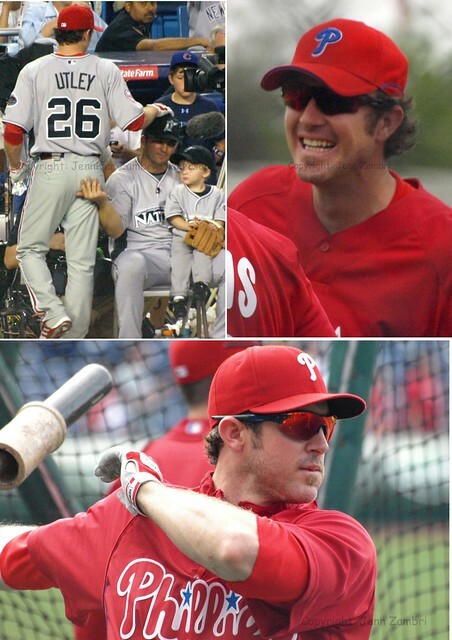 With Ryan Howard being sent to the DL today and Chase Utley already on the DL, the Phillies needed other players to step up and add some pop to the line-up. Ruiz, Francisco and Valdez did just that. No one appreciated the effort more than Roy Halladay, who has suffered from a lack of run support in games past. 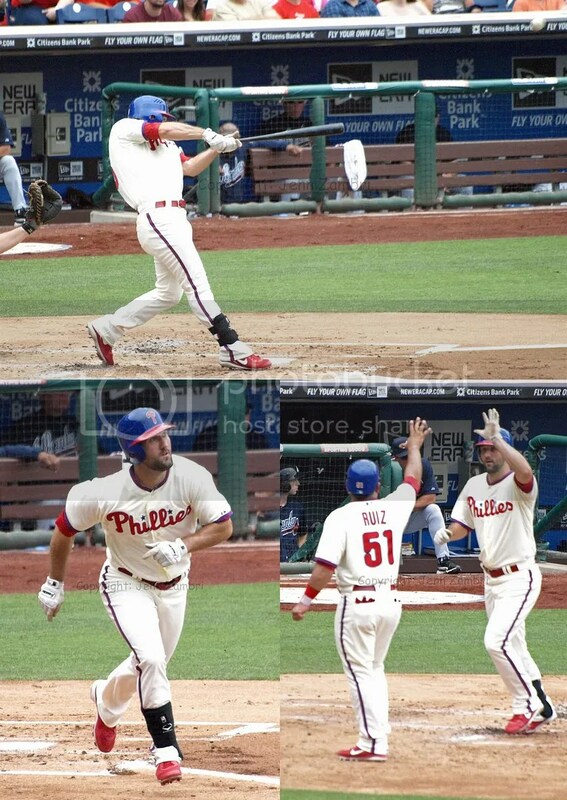 In fact, during the 4th inning, it looked like the Phils would let him down again when they had runners on 2nd and 3rd with one out. Cody Ransom got ahead in the count and then on the 2-0 pitch, he popped out, leaving the runners stranded. After an intentional walk to Valdez, Halladay decided to get the job done himself. A 2-out hit down the 3rd base line is just what the Doc ordered. Halladay collected 2 RBI and now has 3 RBI this year. 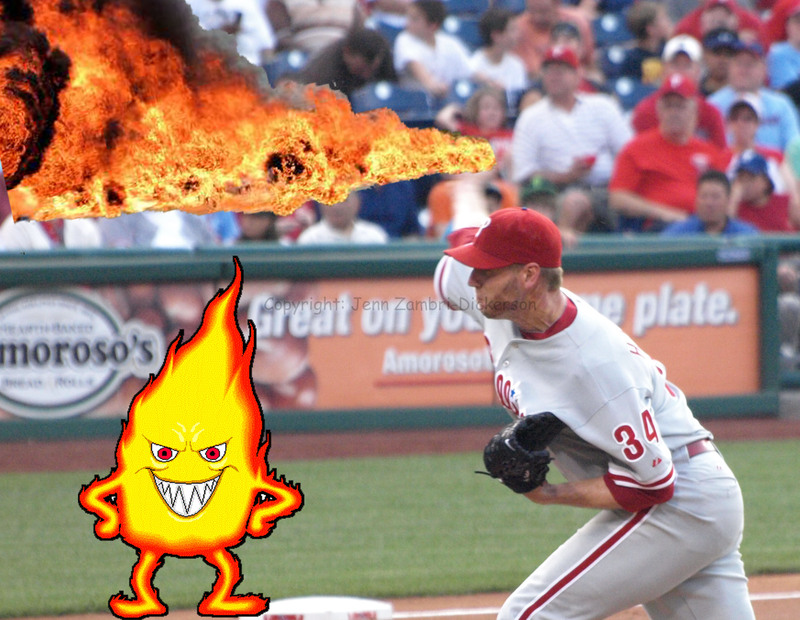 Not only was Halladay hot at the plate, but he looked like he was yielding a flame thrower on the mound. In 7 innings, the only run he allowed was a solo homer to Dan Uggla. He gave up 5 hits, 1 walk and struck out 9 batters. Halladay left the game drenched in sweat and with a 6-1 lead. Chad Durbin was called upon to finish the game with 2 innings to go. He had a fairly quick 8th inning and ran into some trouble in the 9th. But Durbin buckled down and got the job done without allowing a run. For a bullpen that has been up and down all year, Durbin supplied a much needed boost of confidence. So, who was not hot tonight? Jayson Werth got the Golden Sombrero by striking out 4 times. 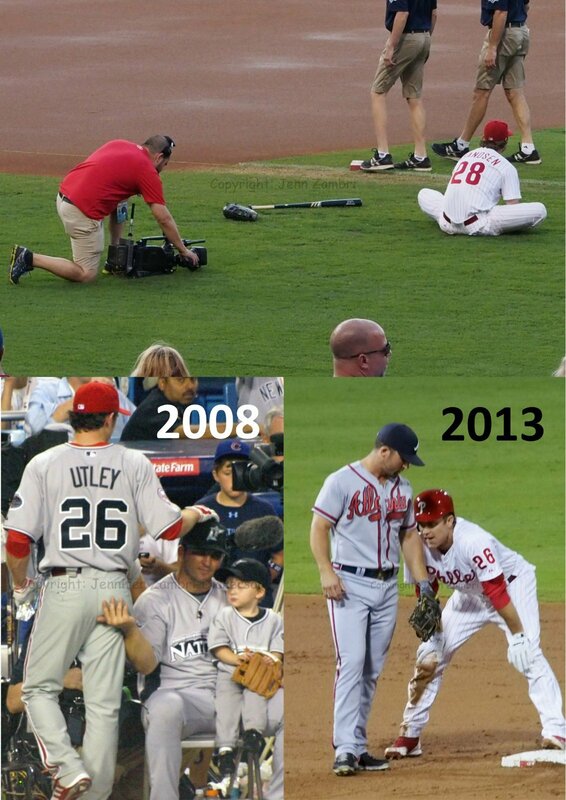 He has done that twice now this season; the last time was 5/30/10. Ransom went hitless and popped out twice. Raul Ibanez struck out twice, but did have one hit and a walk. Placido Polanco went 1 for 5. 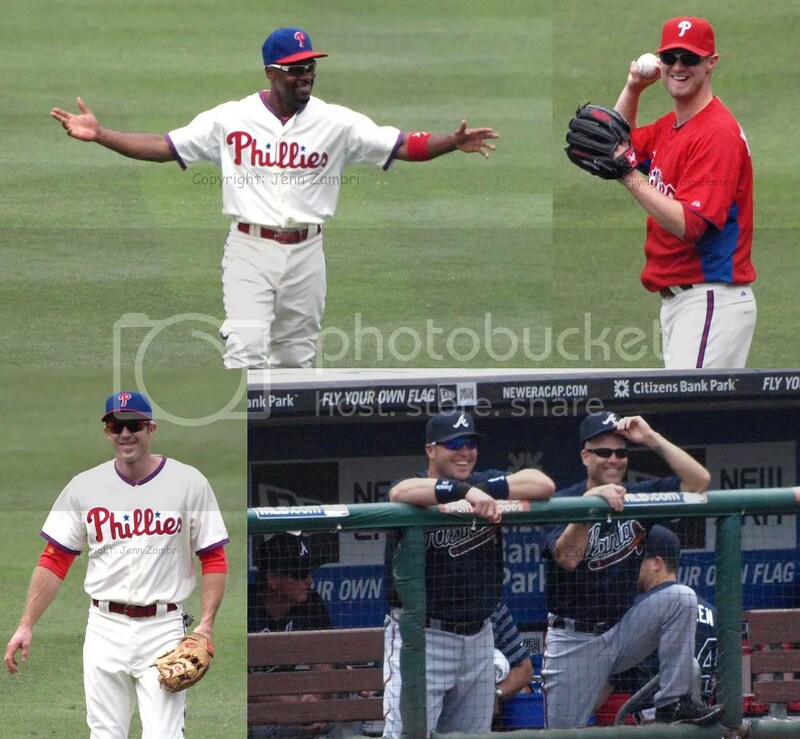 But they all picked a good day to have a bad day; with Halladay on the mound and their teammates picking them up, all is well that ends well. Kyle Kendrick will pitch tomorrow against the Fish; game time is 7:10pm. On behalf of Cole Hamels, can I get a collective “Arrgghhhh!” please? Thank you. This poor guy pitched like a real ace today against the Marlins and has nothing to show for it. 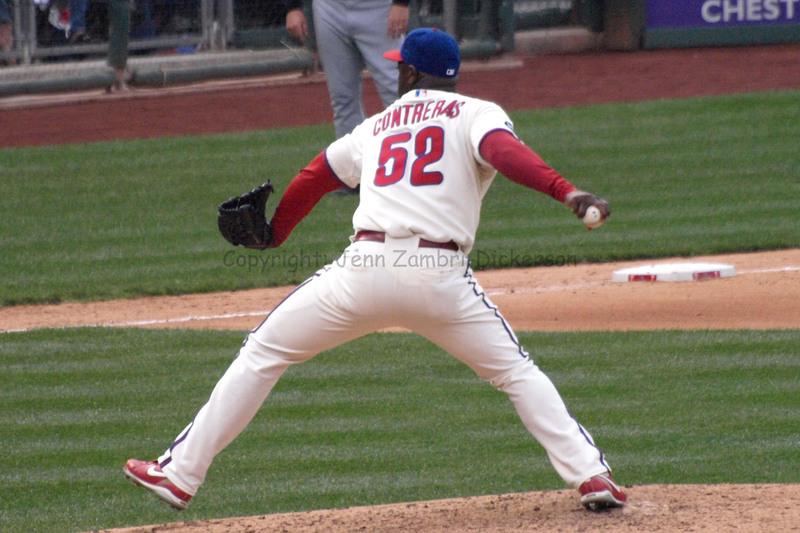 His first two outings this year stunk, but the offense scored 8 and 7 runs for him, respectively. 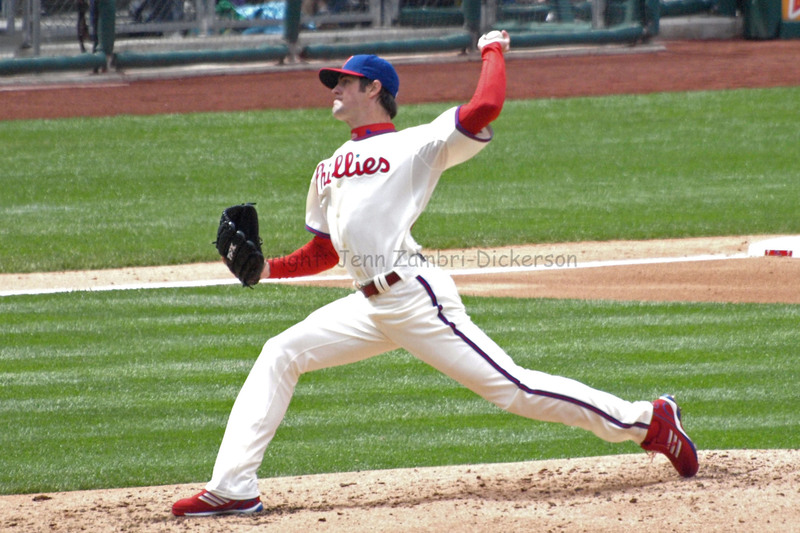 Today, Hamels allowed just 2 runs over 8 innings, striking out 8 batters and did not issue any walks. And this game, he loses by a score of 0-2. Ugh. 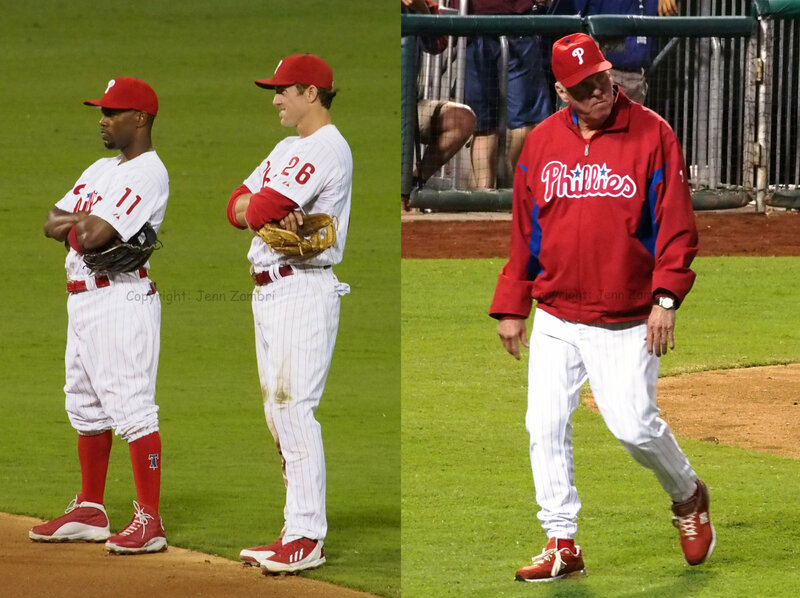 There were a few moments in the game where it looked like Hamels may revert to his 2009 ways and lose his cool. 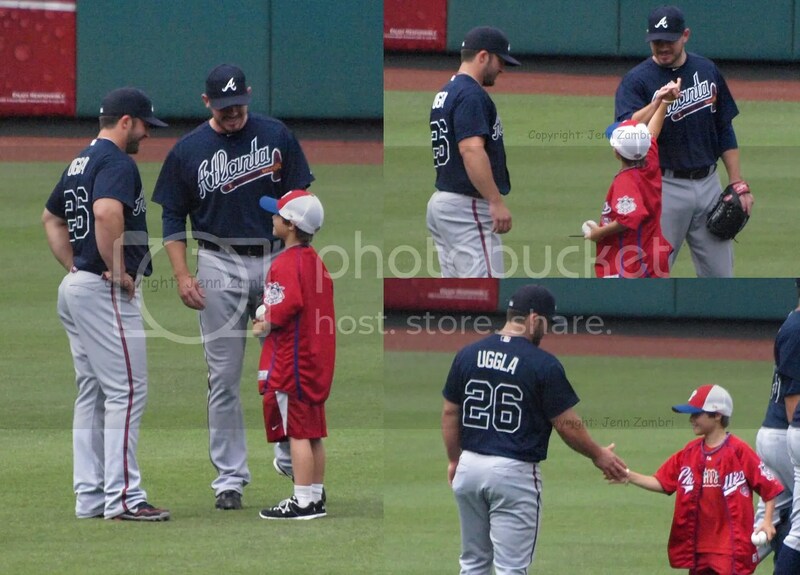 The home run to Dan Uggla in the 2nd inning was one, but he just kept on pitching as if it did not happen. The second instance was huge; with no outs in the 3rd, the inning began with a double to centerfield from the Marlins pitcher. Allowing hits to the opposing pitcher, especially extra base hits, is usually the one thing you can count on to mess with a pitchers head. But instead, Hamels struck out the next 2 batters and got the 3rd on a ground ball. Bravo, Cole! This is the guy we had all been missing. 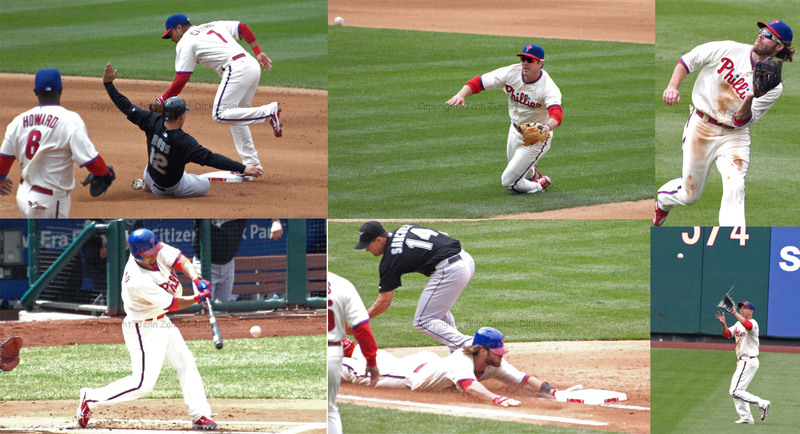 But even after the huge effort put forth by Hamels, the offense came up with a great big ZERO. 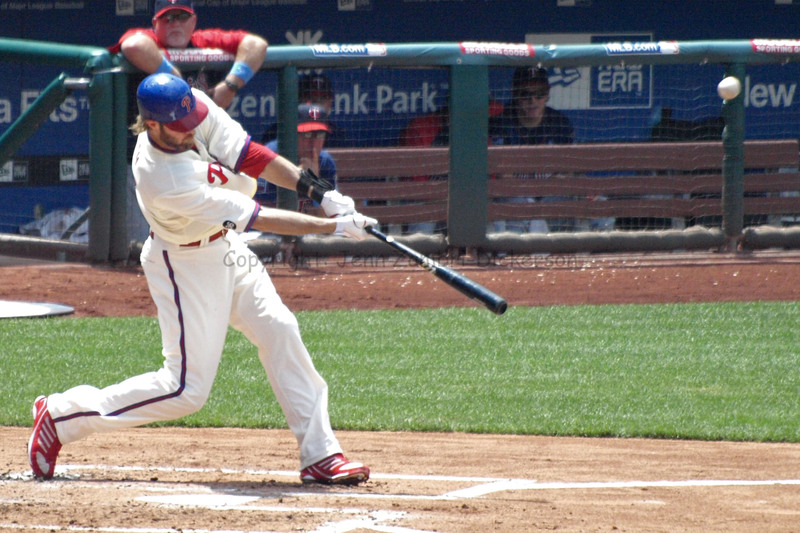 The Phillies had opportunities, including 3 walks in the 2nd inning to Jayson Werth, Ben Francisco and Carlos Ruiz, but they still failed to score. 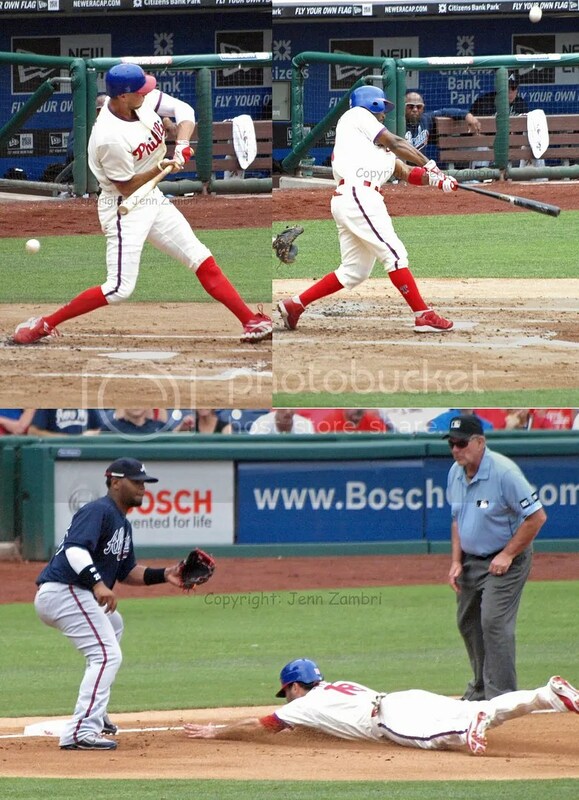 Incidentally, those same 3 players accounted for 3 of the 4 Phillies hits tonight. 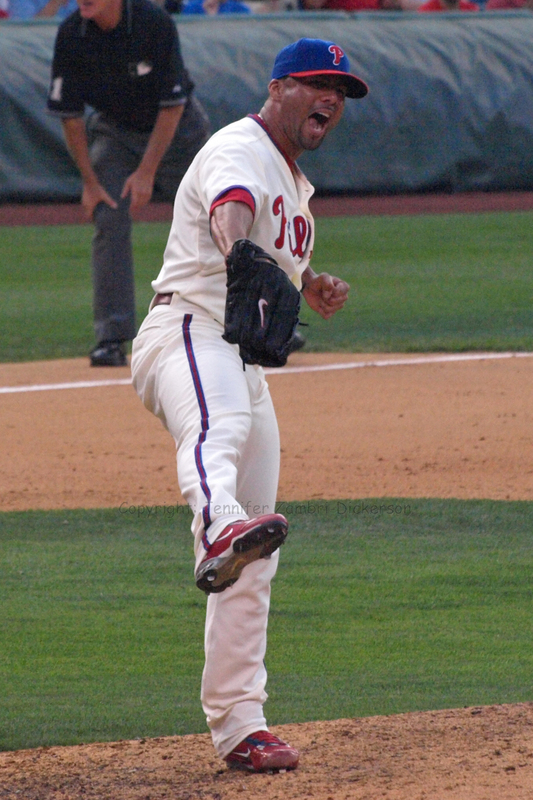 The 4th was Placido Polanco. So while Charlie Manuel apparently took my hint yesterday about player Francisco in place of Raul Ibanez, Francisco’s walk and double were wasted by those who batted after him. In that same 2nd inning, Werth could have scored on the fly out by Juan Castro but did not. He tagged up and started to run from third base, but for some reason he stopped and went back. With Werth’s speed, he had a chance to make it. 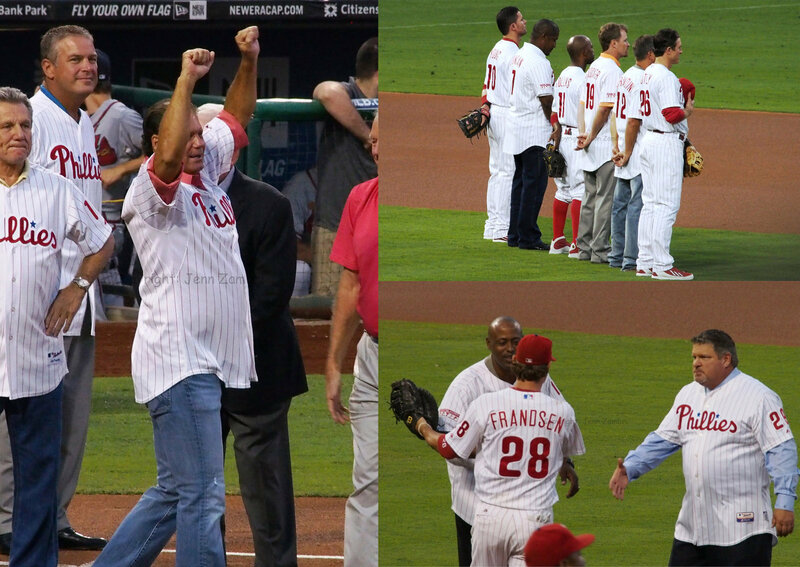 Plus, there were 2 outs in the inning and the pitcher, Hamels, was due up next. It was worth the risk. 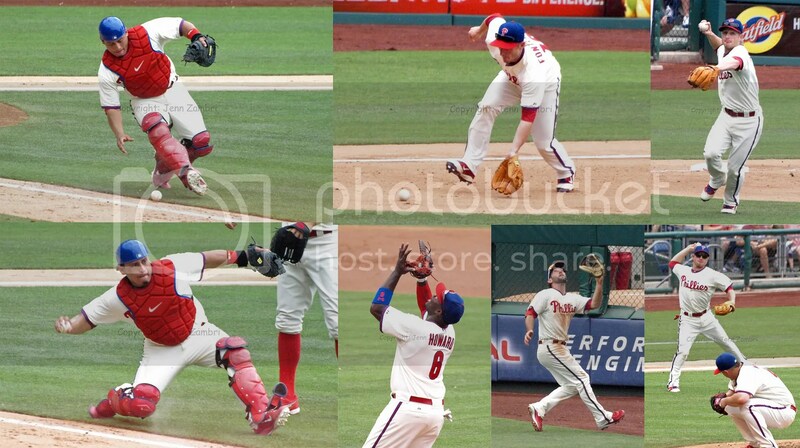 And as luck would have it, the throw home sailed past the catcher, meaning Werth would have scored easily. Another wasted opportunity. For their final chance in the 9th, three pinch hitters were sent in; Ross Gload, Ibanez and Greg Dobbs all went down without a fight, faster than fans could run to the parking lot. And there you have it; the Phillies first shut-out of the year and first lost series of the year. They are now only ½ game in front of the Marlins for first place. 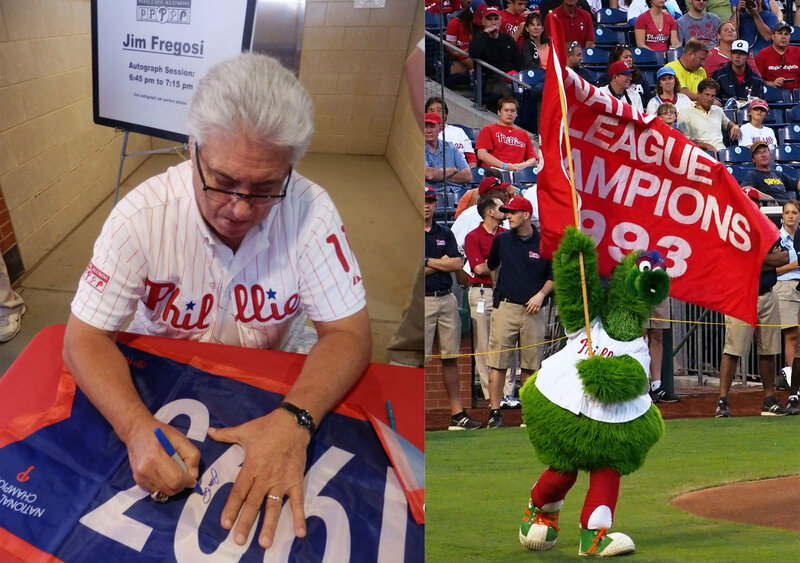 So, here is the full Photo Album from today’s game, which includes the always entertaining Phanatic Birthday celebration. Check out the stuffed Clam, Clammy Sosa, eating and then spitting out an umpire…classic.